bypass frp 7.0 Archives | Lets Learn to Hack Android. Hey, it looks like you got a FRP locked Android device with Android version 7.0 (Nougat). Finding a method that will actually bypass FRP can be an extremely tedious task, but luckily you found us (hopefully early in your search for a Google verification bypass! 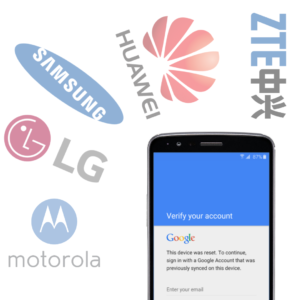 ), our amazing team has found several simple and reliable unlock solutions that will allow you to remove the previous google account on your Samsung, ZTE, LG, Motorola, and Huawei device without a PC! Factory reset protection (FRP) is one of the many features that was included in the Android version 5.1 (Lollipop) update that occurred in February 2015. The lock was created to prevent anyone from illegally using an Android device even if they forcefully perform a factory reset. Originally the FRP lock was designed to secure all Android users information in the case of theft, but what happens if the FRP lock is triggered when it shouldn’t be? There are many scenarios in which the FRP security feature is provoked when it isn’t necessary. Android device owners who have either forgotten their Google account information or have purchased a used mobile device that was previously FRP locked. In these cases, it is important for Android owners to have the ability to bypass FRP on their mobile device. We have a variety of Google account verification bypass methods shown below that will allow you to remove the FRP lock on your Android 7.0 (Nougat) device using incredibly simple steps. Please choose the brand of your Android device in the “Table of Contents” below. Congratulations You Successfully Bypassed the FRP Lock on Your Android Device! Before attempting to bypass the FRP lock on your Android device, make sure that you do everything that you can to sign into the previous Google account because bypassing the Google verification screen can be a very tedious task that can take many hours to complete. Also please be certain that your Mobile device is locked to the Google Verification screen. Starting at the “Welcome” screen, make your way over to the “Sign Into Network” screen so that your Android device can be connected to WiFi. Now, go to the “Google Account Verification” screen and tap the “Enter Your Email” prompt. Once your keyboard pops up, type a email address that was previously synced to the device. Finally, type the password to the previously synced email. Don’t worry if you are unable to obtain the Google account information that was formerly associated with your Android device, we have several Google bypass solutions that will get back you on your mobile device. If you are having difficulty completing the FRP bypass on your Android device, or don’t want to take the time to remove the Google verification lock yourself then I would highly recommend checking out our parent company UnlockJunky to remove the FRP lock from of your Android in less than 5 minutes. The UnlockJunky team (including myself) has successfully bypassed FRP on thousands of devices. Why would I use a FRP removal service? This solution has successfully been tested on the following FRP locked Samsung devices, but this unlock method should work on ALL Samsung mobile devices with Android Version 7.0 (Nougat). Let us know how the process goes in the comments below! Open your Samsung device to the “Welcome” screen. Go to the “Google Account Verification” screen. Type “Bypass Me” in the “Enter your Email” prompt. Press on the highlighted words that you typed until a pop-up appears. Tap the 3 vertical dots in the right hand corner. Go into “keyboard settings” (you can access the keyboard settings via the keyboard). You are now in “Samsung Keyboard Settings” and tap “Text Shortcuts:. Long press to highlight until you see a pop-up. Once the pop-up appears tap Google Assist (G-Assist). “Lock Screen And Security” is the next page that you will have to go to. Tap Install and tap “Open”. Tap the 3 vertical dots in the top right hand corner. Press “Browser Sign-in” then “OK”. After you must sign into your gmail account or create a new gmail account. Finally we must factory reset the device press the “Power” button to turn off the mobile device. If you are having trouble powering off the device then just let the battery drain all the way and then while the phone is powered off, let it charge for about 30 minutes and unplug your charger from the phone and continue with the process. Press and hold Volume Up, Power, and Home (unless you have a Galaxy S8 or newer then press Bixby) for 2-3 seconds then release once the Android Logo appears. The “Android Recovery Menu” will appear after about 30 seconds. Use Volume Down to scroll through the options to “Wipe Data”/”Factory Reset” then press Power to select. Press Volume Down to select “Yes” and Power to confirm. Once Formatting is complete press Power to reboot. Congratulations! You’ve successfully bypassed the FRP lock on your Samsung, you can set up your device as you normally would. If you do not see your ZTE device, don’t panic! This FRP bypass solution works on all ZTE devices with Android version 7.0 (99% working!) Let us know how your unlock goes in the comments BELOW! Turn on your ZTE device with the FRP lock and connect to wifi. Now you can go back to the “Welcome” screen and tap on “Vision Settings”, then “Talkback”. The “Talkback Tutorial” pop-up screen will appear. When that happens, draw a large “L” using your finger on the screen to allow the “Global Context Menu” screen to show up. Double tap on the “Talkback Settings” option. Press and hold Volume Up and Volume Down together until you have the “Suspend Talkback” pop-up screen. Double tap “Ok” on the popup screen to turn off the “Talkback” feature. Scroll down and tap “Help & Feedback” so that you can tap “Get Started with Voice Access”. Now you can tap on the “Youtube Play” icon and wait until you receive extra options. Tap on the “Youtube” title as soon as you see it in the upper left-hand corner, which will lead you to the “Youtube” website. Please Keep In Mind: If you see any “Update” messages, just tap “Not Now”. Swipe down on the “Youtube” video and then tap the 3 vertical dots/profile icon in the upper right-hand corner. Now you will see a “Chrome” page on your screen, tap “Accept & Continue” then “Next” and finally “No Thanks”. Once you open to the article go directly to the “Table of Contents” and click on “Google Verification Bypass on ZTE”. Wait until you finish downloading all 3 of the applications before continuing your FRP bypass. Now you can tap on the 3 vertical dots in the top right hand corner of the “Chrome” browser, then tap “Downloads” giving you access to all of your downloaded FRP tools. Tap on “Quick Shortcut Maker” app to install the Google verification bypass tool. You will see one pop-up message, just tap on “Settings” and enable “Unknown Sources” from there. Once you enable “Unknown Sources” you can install the “Quick Shortcut Maker” application, once the installation is finished tap to “Open” to launch the app. Next, you will need to find the “Launcher3” app. Tap on the app and you will see a list of launcher3. Choose the very first “Launcher3” on the list. WhoHoo! You now have access to your ZTE’s home screen! But we aren’t quite done yet, we still have to bypass the FRP lock. Open the “Chrome” browser and tap on the 3 vertical dots in the upper right-hand corner then tap “Install”. Once the installation is finished, tap “Done”. Make your way back to the “Download” folder on you ZTE. Tap “Launch Google Settings” then “Install” and “Open”. Find the 3 vertical dots in the right corner and select “Show Debug Items”, then go down and tap “SmartDevice Target Flow”. Tap “Next” then tap it “Next” again. You will now be at a “ZTE” screen to “Verify device”. Place any Android smartphone near your Google account verification locked ZTE device. On your other smartphone (the one that does not have a FRP lock) open the “Google” app. Type “Set Up My Devices” in the Google “Search” bar. Then tap on “Set Up My Device” from the search result. You will now see “Get Started” and tap “Next”. Your unlocked device will start searching ZTE. After that you will see your ZTE device’s name (the name provided on the “Verify Device” screen)appearing on your other Android Device. Within a few seconds you will see a “Sign-in” screen on your FRP locked ZTE device. Sign in using a valid Gmail ID. Congratulations! Your ZTE is officially FRP bypassed! Bypass FRP on your LG device with Android 7.0 with ease using our 2 uncomplicated methods! Both of the methods have been successfully tested on the following LG mobile devices, but please don’t worry if your device is not on the list! This Google verification bypass solution works on ALL LG devices with Android version 7.0 (Nougat). Connect your FRP locked LG device to wifi. Go to the “Google Account Verification” screen and type any word (Ex: “Bypass FRP”) in the “Enter Email Address” prompt. You can now long press on what you have typed in the previous step so the “Cut, Copy, Share, Assist” pop-up options appear. Tap “Assist” it assist is an option in the pop-up so that “Google” will open. From here you do not need to follow “Method 2” just click here to continue to “Final Method”. Turn off “Touch Assistant” option, then tap on the “Back Key” so that you can go back to the “Motor Cognition” screen. Tap on “Vision” then turn on “Talkback”. You are now on the “Talkback Tutorial”, draw a large “L” on the screen (swipe down to right). Double tap “Talkback Settings” in the “Global Context Menu”. 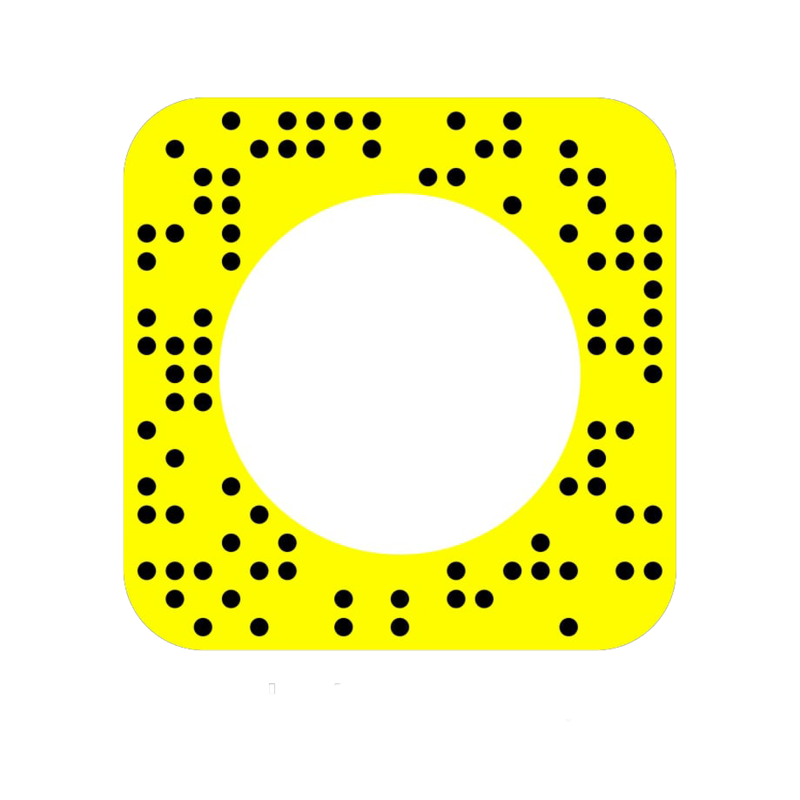 After that draw a “L” again (swipe down to right) on the “Talkback Settings. Double tap on the “Pause Feedback” option and then tap “Ok”. Now you can swipe up from “Talkback Settings”. Tap on “Help & Feedback”. After tap “Get Started With Voice Access”. You can now tap “Play Button” to play “Youtube” video. Tap on the “Share Arrow” to get some “Share Options”. On “Share Options”, tap one the 3 vertical dots so that you can open “Youtube”. Drag down the “Youtube” video so that you can tap the 3 vertical dots from the upper right-hand corner and tap “Settings”. Now “Google” will open and then tap “Accept & Continue”, and then “No Thanks”. Type “Setup” in the “Google Search Bar” and then swipe left to get into “In Apps” option. “Account & Services” screen will display, then tap “Exit”. Your LG device will “Restart”. Once your LG device restarts you will see “Emergency Call”. Tap “Next” 3 times, then “Skip”, and finally “Setup As New”. Turn off all of the options on the “Google Services” screen and then tap “Next”. Tap “Next” on the “Name” screen, then press “No Thanks” and “Next” and finally “Skip Anyways”. Now you can tap on the “I Agree” box, then tap “Done” 2 times. You now have more access to your FRP locked LG device, but we are not done quite yet. You will have to add a new “Gmail” account. Tap “Emergency Call” from the pop-up screen. Tap on “Setup Now” from the scroll down collapse screen. After that tap “Next” on the bottom right-hand corner, then tap “Done”. “Swipe Down” from the top so that you can view options and then tap “Settings”. Tap on “General” within your “Settings” menu in the top right-hand corner. Now tap “Account & Sync”. Press “Add Account” on the bottom right hand corner, then tap the “Back” arrow in the top left-hand corner. You will see the “Checking Info…” screen, just wait until it is finished. “Add Your Account” screen to type your latest gmail account there. Good Work! Enjoy your freshly FRP bypassed LG device. Please Keep In Mind: Your Motorola device MUST be at 90% battery before beginning this FRP bypass. Beginning at the “Welcome” screen, make your way to the “Select Wi-Fi Network” screen and connect your Motorola device to “Wi-Fi”. Swipe up and tap “Add Network”. Type “Bypass FRP” in the network name so that you can “Double Tap”/”Long Press” (depending on your device) on the text so the “Cut, Copy, and Share” options display. Tap “Share: then tap the “Message” icon from the pop-up below. Type “112” in the “TO” field above (where you normally would type a number to send a message). Now tap the “Send” icon that you normally would use to send a message, after the “Call” icon will appear on the top right corner. Tap the “Phone Call” icon and type *#*#4636#*#* and then tap on “Usage Statistics”. After tap the “Back Arrow” on the top left corner. If you do not have “Developer Options Enabled”, then tap “About Phone”. Tap 5-7 times on “Build Number” until you get a message that states “Developer Options Enabled”. Finally go back to “Settings” screen. Tap “Apps” in your “Settings” and then press “Google App”, and after that tap on “Notifications”. After that tap “App Settings”. Press “Now Cards”, and enable “Show Cards”. Tap “No Thanks” so that you can open “Google”. Type “Chrome” in the Google Search Bar and tap on “Chrome” so that you can open it. Then press “Accept & Continue” and “No Thank You”. Open the most relevant search result (shown in the image below). Once the download is finished, keep tapping the “Back Key” on your Motorola device until you go back to “Google”. Type “Download” in the Google search bar and tap on the “Download” icon so that you can open the download folder. Tap “Test DPC Apk” file to install. Please Keep In Mind: If you have “Installation Blocked” popup, don’t worry all you have to do is tap “Settings” on the pop-up and enable “Unknown Sources”, then install “Test DPC” and open it. Tap “Set Up Device Owner” from the “Setup Management” screen. After tap on “Set Up”. Once you put your Motorola device on the charger (Remember the FRP locked device must already be at 90% battery life). “Encrypt Phone” will auto highlight, tap on it. Your Motorola device will auto-restart and will begin “Encrypting”. Once the encryption process is finished, wait until it restarts and tap “Start” from the “Welcome” screen. Wait until “WiFi” auto connects, then you will be redirected to “Set Up Your Device” screen. Tap “Setup”, you will receive a pop-up saying “Not Signed In”, from the pop-up press “Set Up Phone”. You will get the same pop-up of “Not Signed In”, just press on the “Power Key” on your Motorola device and turn it off. Press the “Power Key” to turn it on, and tap “Skip”. Tap “Finish” to be one step closer to completing your Google account verification bypass on your Motorola device. Go to your Motorola’s device “Settings”, and then tap “About Phone”. Now tap “Build Number” 5-7 times until you get the pop-up “You are now a Developer”. Tap on the “Back key” then tap “Developer Options” which are found in the main “Settings”. Enable “OEM Unlocking”. Make your way back to “Settings”. Tap on the “Backup & Reset” option then “Factory Data Reset”. After that “Reset Phone” and finally “Erase Everything”. Congratulations! You have successfully completed a FRP bypass on your Motorola device. Now all that you have to do is set up your device as you normally would. Starting at the “Welcome” screen, select your native language (the language that you are most comfortable reading) and tap “Next”. After that screen you will have to make your way to the “Select Wi-Fi” screen by tapping “Skip”, “Agree”, “Agree”, and “Next”. Once you are at the “Select Wi-Fi Network” screen, connect to your Wi-Fi. Press the “Power Key” to restart your Huawei device. Now, long tap for 10-15 seconds with Two fingers until you see the “Talkback Screen”. Try again if nothing happens! Draw a large “L” on the “Talkback” tutorial screen to go to “Global Context Menu”. Draw a large “L” again and double tap “Pause Talkback” and then double tap “OK”. After that tap on the “Play” button to play Youtube video. Press on the “Share Arrow” to get share options and tap the 3 vertical dots to open “Youtube”. Drag “Youtube” video to the bottom right-hand corner and tap on the upper right-hand corner where you see the three vertical dots. Now you can “Deselect” from “Help Make Chrome…….” and tap “Accept & Continue”. Please deselect “Data Saver Is On” and after that ta “Next” and finally “No Thanks”. You will get “Installation Blocked” pop-up, don’t freat! All that you have to do is tap on “Settings” from within the pop-up, enable “Unknown Sources” then tap on the “Back Key” to go back to blog.unlockjunky.com. Press “Install” and then “Open”. Type “Home” and tap on that, then tap on the very first “Home” then tap “Try”. Tap “Settings” and press “Accounts”. Add your current Gmail account to bypass the Google verification screen. Once the account is added press “Accept” and tap “Next”. Make your way back to “Home” screen by tapping the “Back Key” from the “Accounts” screen. Go to the “Play Store” and tap “Get Started” then go back to the “Home” screen. Tap “Settings” from your home screen. Make your way to “Advanced Settings” and tap “Backup & Reset”, then “Factory Data Reset”, and finally tap “Reset Phone” twice to Bypass FRP on your Huawei device. Wait a few minutes for your Huawei device to reset itself then all that you have to do is complete the initial setup. Enjoy your newly unlocked device! If you have any questions/concerns or if you want to let us know that the unlock worked on our mobile device let us know in the comments below!